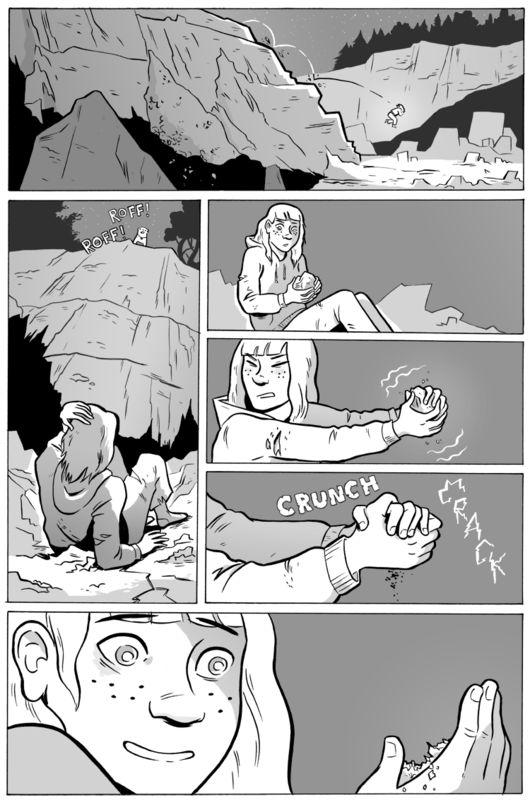 In the world of Kickstarter: Molly Ostertag (monstertag on tumblr) and Brennan Lee Mulligan are hoping to print a the first volume of their webcomic, Strong Female Protagonist. The series focuses on 20 year-old Alison Green, a former superhero, Mega Girl, who is now trying to change the world instead of save it… and honestly, it’s a pretty addicting read. Strong Female Protagonist is essentially an exercise in stripping away the tropes associated with the superhero genre and looking at the people behind the masks. SFP takes these large-scale ideas about superheroes and puts them in the actual real world. But what do superheroes do in a world with terrorism, political and economic tensions between America and China, cancer, the whole kit and kaboodle? Can you punch your way through every problem? 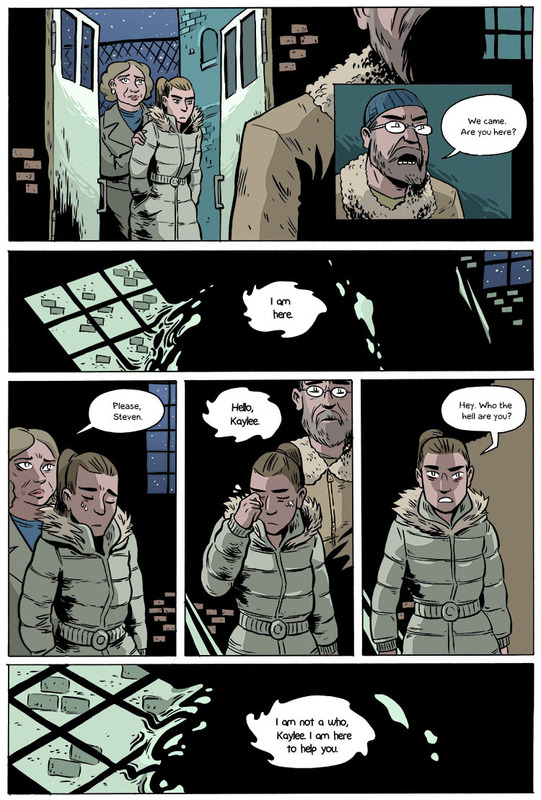 SFP asks difficult questions, real questions, and part of reason this comic works is that it doesn’t present any pat and easy answers. The series is written by Brennan and illustrated and colored by Molly. Like many comics that are written over multiple years, there has been an evolution in writing and illustration. Both creators have become more confident and accomplished in their work, and it is really showing with Chapter 5, the latest chapter. As a caveat, I’m pretty pro Kickstarter – although some projects that I’ve backed have been delayed or delinquent, I’ve been mostly successful in getting what I’ve paid for, and that colors my experience. Certainly there are risks that a Kickstarter will not deliver as promised, and I think people should be cognizant of that before they pledge. At the same time, Kickstarter is really something special for comics. 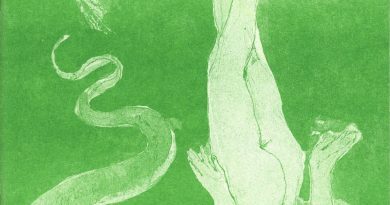 Kickstarter allows a general public to pay for things we think are worthwhile, and gives us the chance to experience work that larger publishers would not take. Taking away the gatekeepers is a very powerful thing. Additionally, I think that part of what makes Kickstarter great is the ability to connect with creators and promote things that you think are worthwhile. 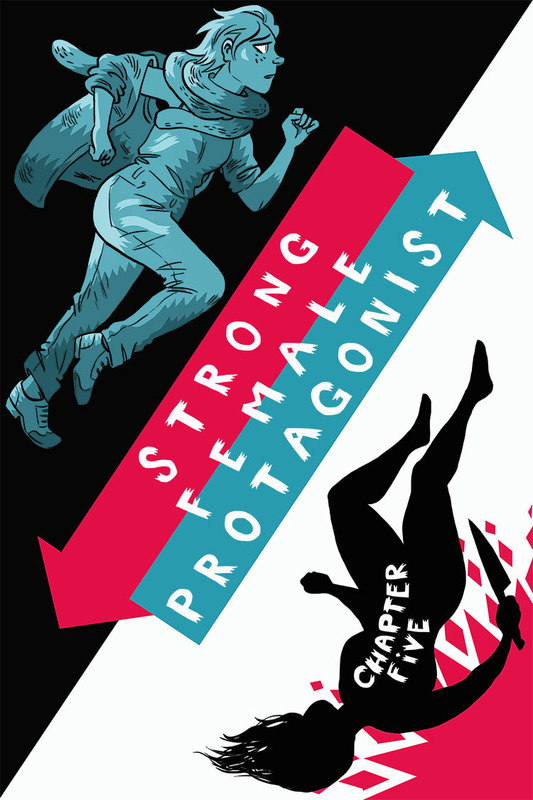 The Kickstarter campaign for Strong Female Protagonist, Vol. 1 ends on June 19th. You can read all of SFP for free at the comic’s website. For someone who reads the occasional super hero book and is often disappointed by the genre’s general lack of depth, this comic is a breath of fresh air. If you like what you read, I’m sure Molly and Brennan would appreciate your support.